Loss has visited close to home recently. From a good friend who lost her mom to a dear friend who lost her battle with cancer. Loss is difficult for everyone. How do we find hope in the midst of loss is a difficult question to struggle with? I have experienced hope during loss in a couple of different ways. Sometimes there is hope even after loss when there is also new life. 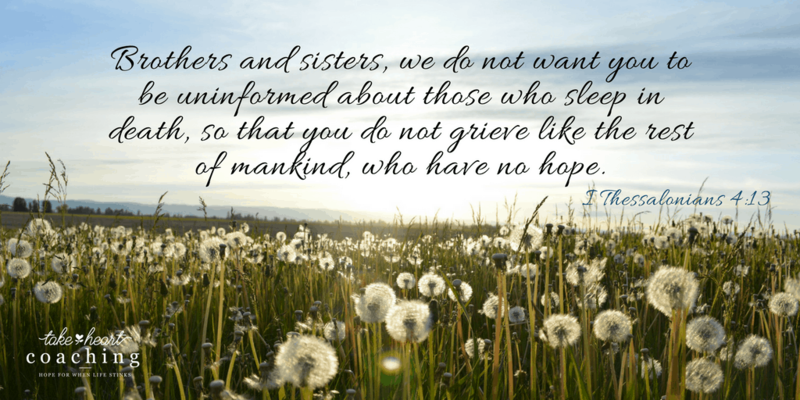 The birth of my grandkids brought some hope even in the season of grieving the loss of my own children through miscarriage. Their little lives brought joy and laughter even through the time of sadness. I have also had a new a new dog bring hope and comfort when I have lost my best dog friend. Most often I have experienced hope after loss through encounters with my Loving Father. Some of the greatest losses in my life have been followed by hope filled experiences with God’s love. When my mom passed away, though she had been sick for 12 years, it seemed like a shock. I was not ready to let her go. She died on a Saturday evening and the next morning while worshiping and grieving during church service, God blessed me with the reminder that Mom was worshiping that morning too. She had been nonverbal for at least the last 8 years of her life (due to Alzheimer’s disease) so the thought of her standing at the feet of Jesus singing praises to Him face to face brought amazing comfort and joy. The grief was made more bearable with the reminder of where she was that morning and for eternity yet to come. 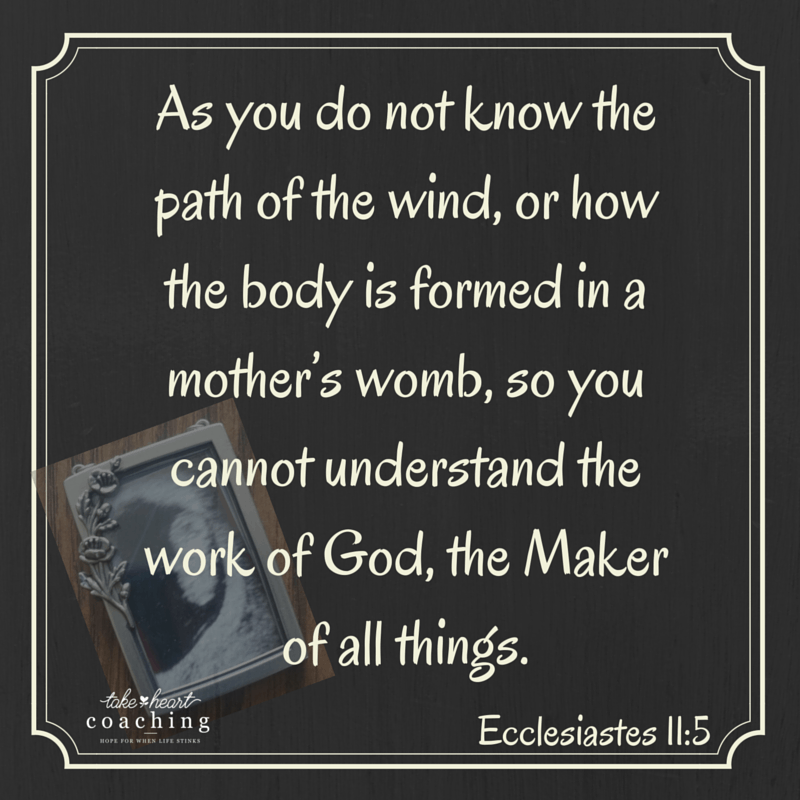 The second time I experienced God’s great comfort was just a couple of years ago, when I was still struggling with the grief of losing my only children by miscarriage. It was a difficult struggle for years, there were so many unanswered questions. Why would the Lord let me get pregnant only to lose my children before they ever got to take their first breath and experience my love for them. I had so many hopes and dreams. Being a mom had been the desire of my heart for as long as I could remember. Again, the Lord graciously reminded me that their death was not the end of their life. They were safe with Him and my Mom in heaven. When that truth came to me the overwhelming peace that followed was beyond description. I had struggled for so long with questions and confusion regarding this loss but all of that became unimportant. They were ok and I would meet them someday, peace & hope replaced all the anger and confusion that had just been there. Today as I grieve the passing of my friend and grieve the disappearing of my dad, I find hope in the character of God. I know that God is Good. I know that God loves me no matter what happens in this life, and that truth motivates me to hold on to HOPE today and the many days to come. How do you find Hope, even in the midst of grief?